With over 62.5 million people volunteering in the US and 12.7 million in Canada, there’s certainly not a shortage volunteers. 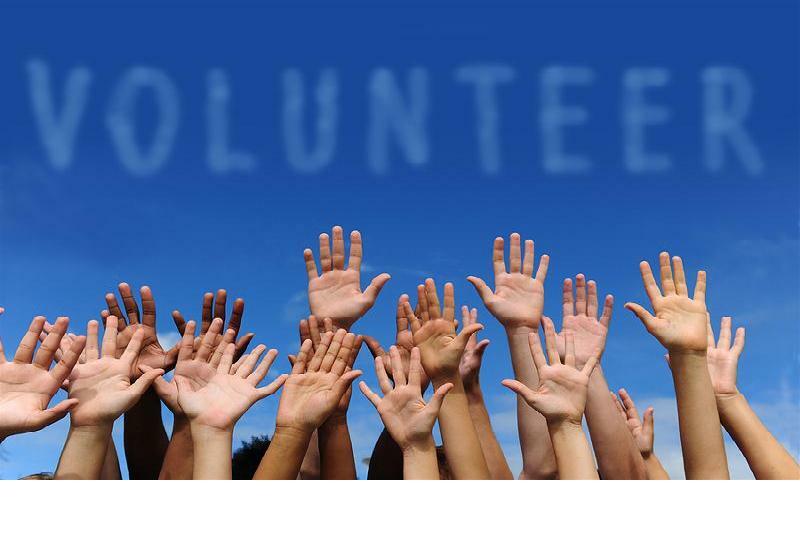 If you’re having trouble finding volunteers, read this great volunteer recruitment checklist. So, how do you organize your volunteers in a way that maximizes their impact with your organization, and, you know… makes them want to stick it out in the long run? I’ve volunteered a lot (making breakfast at women’s shelters, tutoring kids in school, coordinating fundraising events, etc.) and when I’m pigeonholed into doing one simple task, or worse yet, when I’m standing around waiting for a task, I feel pretty useless. I'm demotivated, and I'm not very happy. When I don’t feel a greater purpose to my volunteering I stop volunteering, no matter if I was “such a big help!”. There’s no sense in feeling bad about giving volunteers a lot of responsibility, that’s exactly what they’re there for. This is what makes me a loyal volunteer. I’m going to tell you how to organize your volunteers in a way that will maximize their time and impact AND keeps them in the long run. Before you divvy out the task list, figure out why each person is volunteering. This will help you give the right tasks to the right people. You’ll be surprised at their answers. In the short term, this is great, because knowing the WHY will help you organize each person into the RIGHT tasks. In the long term, this is a must! If you treat your volunteers like a task force, switching up their tasks every time they volunteer, you will exhaust them and they will leave. Instead, keep giving them tasks, or even an ongoing role that plays to their passion. This will make them excited about volunteering every single time they show up. One of the biggest mistakes you can make with volunteers is to use them as catch-alls. You’ll find a lot of articles saying that you should make one person your “Everything Person”. Would you want to show up never knowing what you’ll be doing except that you’ll have to do all the extra, menial tasks, someone else missed? There’s no better way to create disengaged, unhappy volunteers. So, how can you find out your volunteer’s passions, to keep them in the long run? on the volunteer registration form. And make sure to record their response and update their profile! You must keep profiles on your volunteers! If not, you need to. I’ll get into this later. I said I would get to this later, and huzzah! Now we’re here already! You can do this in excel, or better yet, within your membership management software’s database (such as within Wild Apricot). When you create your membership levels, simply add a new, free level for “volunteers”. By requiring your volunteers to register as members of your organization, you automatically have all their contact information and can even add a drop down field that identifies why they’re volunteering in the first place. Then, after you speak with them personally, you can include your own notes (or even include an area in their online registration form for them to fill out about this). Now have a stellarly accurate list of volunteers, and you know exactly WHO to assign WHAT. Jane wants to volunteer with a Tennis Club because she loves tennis and loves socializing with other tennis players. She just can’t spend enough time on the court! Jane also has some analytical skills from her job and is a whiz at Excel. Seek donations for prizes from local businesses. Where would you put Jane? Either A or B seem like a probable fit for sure! You know that Jane with both be good at her task and enjoy it. Plus, now that you’ve documented what Jane likes doing in your membership management software, you don’t need to remember off the top of your head what she would enjoy doing. Now, imagine you hadn’t spoken with Jane beforehand. You might assign her any of the tasks, some of which may not have been a good fit. She’ll certainly do well at her assigned task, but she may feel mentally drained at the end of the day doing something that doesn’t come natural to her. This may seem like a given. But wait! Perhaps you’re not thinking about this in the right sense. Yes, there are the obvious tasks that you might need a volunteer for, but don’t forget that volunteers are passionate AND smart. Maybe some of the tasks that you do on a regular basis can be instead given to a volunteer. I volunteer with a writing association (of which I’m part of, since I write fantasy on the side, woot! ), and some of the tasks I do may surprise you. All of these tasks play to my specific skillset. They’re also unusual tasks that you might not use a volunteer for. What unique skills do your volunteers have and what can they teach you? When you start listing out your tasks, be cognizant of ones that may require a lot of upfront training. Remember that your volunteers’ time is valuable too and there’s nothing more daunting to a new volunteer than having to sit through an hour training session. In as much detail as possible, print out a list of all the tasks a volunteer will need to undertake. Put it in their hands. Highlight areas that are really important. Give them tips on how to get a head start, or shortcut to what they’re doing. Make them aware of typical problems that arise and what to do. Include a phone number on their list in case they run into any major roadblocks and really need your help. A lot of people will tell you to divide up a job into specific tasks. And you should do this. 100%! But, they’re missing one key thing. Always state the goal, or outcome. Doing this will ensure your volunteers stay on track and can make decisions on the spot from unforeseen circumstances. There’s nothing worse than a volunteer running into a simple roadblock, and then spending the next 15 minutes trying to find the volunteer organizer for help on what to do. Believe me, I’ve had to do this, and it stinks. If you need someone to check-in guests, don’t just give them a list of all guests, also give them what a great outcome would look like. Include things like, “every guest should feel welcomed and receive a personal touch” rather than, “say hi to every guest”. Can you see the difference between someone who's told to make sure they say "hi" and someone who's told to make sure every guest feels welcomed? "Hi" is just a task, where "feel welcomed" is a goal. Of course there will always be super boring tasks to give out, like filing paperwork, or stacking chairs. In these cases, tell the volunteer upfront that when they are finished, you’d like to hear their ideas on improving the process. Suddenly a boring task becomes a stimulating problem. You’ll be surprised at how many bright solutions they come up with that you certainly didn’t have time to think about. SUPER TIP: Don’t micromanage. PLEASE don’t micromanage! If possible, form your volunteers into groups. You may be tempted to put similar people with similar skills together, but I’d do the opposite. Put an old volunteer with a new one. Put an introverted volunteer with an extroverted one. Put an analytical volunteer with a musical one. Put a student volunteer with a corporate one. Your volunteers will be able to solve problems faster when they have different skills. They’ll also meet new people, try new things, and be more engaged. Your volunteers will need breaks, just like you. Set up a table and some chairs for your volunteers that has some water, coffee, snacks, and extra notepads, pens, name tags, and other such items. This is also a great place for your volunteers to mingle and get to know each other, plus it makes your volunteers feel more at home. Instead of standing around awkwardly between tasks, they’ll have somewhere to go. Your role in all of this is to step back and watch from above. You put the time and effort into recruiting a killer volunteer team, don’t do all the work for them! I’ve seen some volunteer organizers end up doing half the volunteer work. Allow your volunteers to take the lead in each of the areas you’ve given them. Your energy should be going into supporting others to run your events as best as possible. Here’s the danger. As soon as you get caught up in any immediate tasks, your attention has turned away from the bigger picture, and when something goes wrong (and it always does! ), you won’t be able to respond immediately. For you, reward comes in everything running smoothly and creating a stellar team of accountable and loyal volunteers. For your volunteers, reward comes in the form of developing their skills, passions and knowing they’ve made a difference. You need to remember this! Not all volunteers will be able to get face-time with your members, or praise from event participants. Those that do will feel great. But what about that tireless volunteer in the back baking cookies all night? How about that volunteer who helped cold-call 40 potential partners? These people need to feel recognition too. One thing you’ll always hear is to give your volunteers a small token of appreciation. A $10 gift card, or some free swag. This is nice and all, but essentially does nothing in the long term. When’s the last time you were motivated to volunteer for 4 hours because you knew you’d get a $10 gift card? I’d say never. Tell them a story where they’re the hero. That is the best form of recognition you can give them. Even better if it’s in front of others. Everyone likes to feel appreciated and know they’ve made a difference. You need to show them how. Remember how you overheard two people talking about how delicious the cookies were, and someone even asked for the recipe? REMEMBER THAT STUFF! Tell it to the volunteer who made those cookies. Go run and get that baker and bring her out! Introduce her to everyone and tell them she’s the one that made those great cookies! I guarantee you that nothing will make that volunteer feel happier.